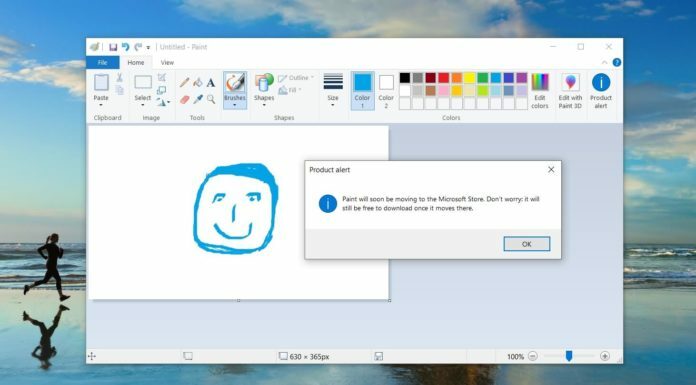 With the Windows 10 Redstone 4 update, Microsoft is improving the Notebook UI on Cortana. 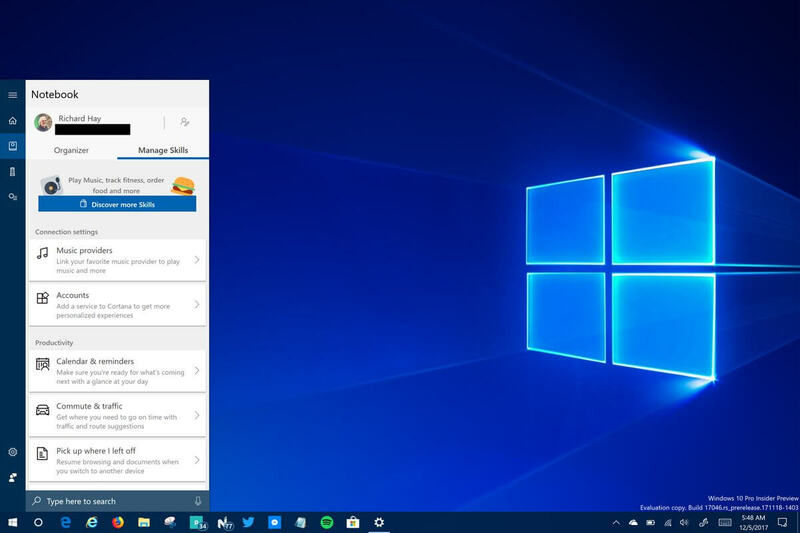 Today, Microsoft began rolling out a server-side update to Cortana in Windows 10 Insider builds with a revamped Notebook UI. The new Cortana notebook user-interface is available for the Windows Insiders on the Fast Ring. You can find the new UI by simply opening Cortana from the taskbar. 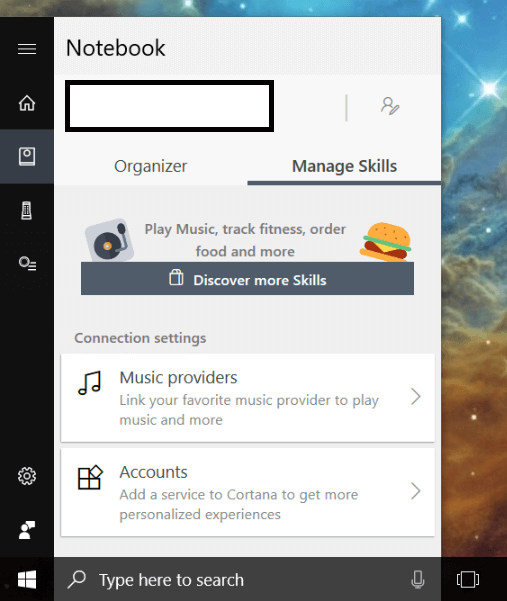 Once Cortana shows up on the screen, click on the Notebook icon to access the new interface. The new design looks cleaner than the previous interface. Microsoft has worked on other elements as well, Cortana now lets you quickly configure reminders, skills, and settings. According to reports, Microsoft is planning to revamp Cortana’s design with the next Windows 10 release, codenamed Redstone 4. Cortana will get a new interface and Microsoft may be also planning to change the way we access Cortana. We recently spotted that Microsoft was experimenting with a new Cortana search interface for Windows 10. The new interface or feature looks more like Apple’s macOS Spotlight search tool. 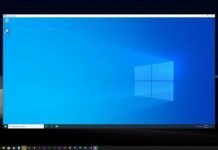 It’s likely the new search interface will be able to all Windows 10 users, including the ones who have disabled Cortana. Both new Cortana changes are expected to be part of the final Redstone 4 release in early 2018.